Lisa Lundin shares how LIFE-coaching could be used as a tool for Executive leaders and companies to reach sustainable results. Coaching integrated with mental training and also combined with Humour and health gives a ground that brings the best out of individuals and organisations. Lisa also introduces some specific keys in life, which helping you take charge in your life and health, and create results that sustains. New thougts and ideas from her first book to be, will be presented as well. Based on a background from working in the world of theatre as an actor and producer and on stages with stand-up comedy for several years, the interest for the relation of humour and health woke up at 2008. Having fun, living in joy and create a positive mind-set starts the process of flow. That will give companies and individuals, more easier, funnier and richer lives and businesses. Together with Lars-Eric Unestahl she is developing a course in “Humor and Health 2that will reach individuals as well as in institutions and companies during 2019. 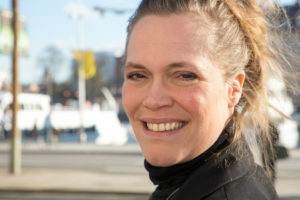 Lisa is educated by Skandinaviska Ledarhögskolan and Svenska Näringsakademien And is today a High Performing Teamcoach, Recovery coach and lic. Dietitian and healthcoach Mental Trainer & NLP Master & Hypnosiscoach and International Certified Executive Lifecoach.